Yupo is a non-porous, acid free and pH neutral, synthetic paper which is machine made in the USA from 100% polypropylene. 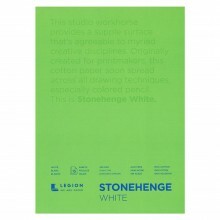 It is completely waterproof, stain-resistant and has become a unique and intriguing alternative to traditional art papers due to its strength and lifting properties. The super smooth surface allows you to build up nuances and patterns that would normally be impossible to achieve on traditional watercolour and drawing paper. Because it can be wiped clean you have the option to return to specific areas and redo them until they meet your standards, or to build up layers of paint using a similar technique to the one used with oil painting. Yupo is made from heated polypropylene pellets which are then extruded to form the base and surface layers of the paper, These layers are stretched to create a dimensionally storable and biaxial-orientated substrate. 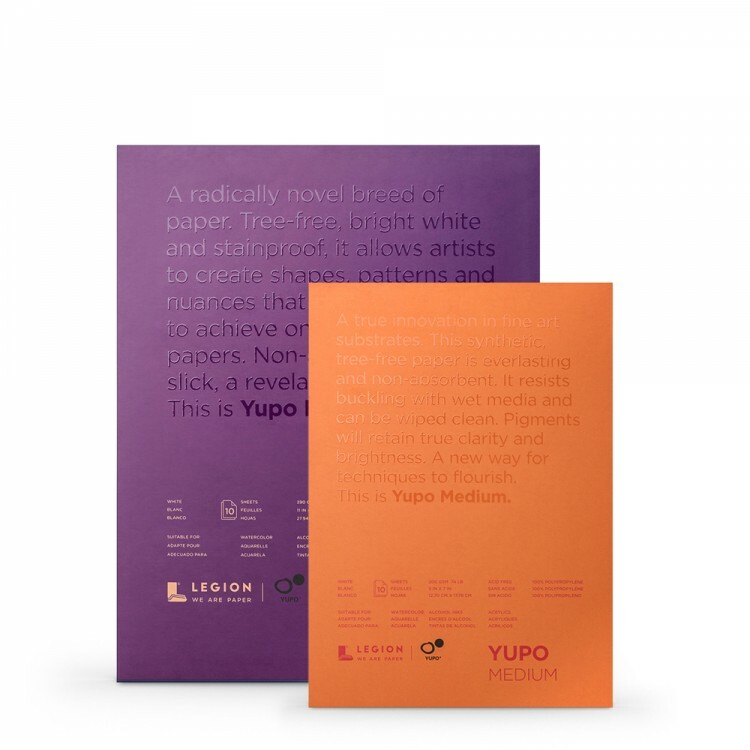 This process means that Yupo paper is exceptionally strong, opaque and has an incredibly smooth surface. Yupo is also available in a lighter translucent version that will help you see colour from a new perspective. The slick papers can be a great starting point for a variety of media and are designed for backlit applications with the combined strength of having excellent light diffusion. This paper easily resists tearing or buckling meaning there is no need to stretch or treat in any way before you start work. Yupo has an extra smooth surface and can be used with a combination of media, including watercolours alcohol ink, acrylic paint, monotype, offset printing, debossing oil pastel, graphite and silkscreen. As an especially durable synthetic, Yupo normally enters the waste stream at a far slower rate than conventional papers. Since it is a polypropylene (PP) plastic film, it is fully recyclable and will remain inert in any approved landfill. If safely incinerated in a modern incinerator with an atmosphere of excess oxygen, it will yield only water, carbon dioxide, and ash. "Yupo is very different to normal watercolour paper(But still make sure not to get greasy fingerprints on it) it stays flat, which is a great bonus, the paint can go mad; which is fun and you can pretty much rinse a sheet under a cold tap and start again. Masking fluid doesn't bond to the surface, so make sure it's dry before you rinse anything away as water will creep slightly under the masking fluid. It's very different, it's fun to play with and well worth trying." When you have completed a piece remember to spray the surface of the Yupo paper with a matt clear varnish or finishing spray so that the work will remain stable.